We all have our ‘go to’ answers when someone asks, “who’s your favourite drummer?” My mind always goes to the rock genre after which it takes about 0.3 seconds to arrive at Keith Moon (Bonham and Peart are a close second and third). But if asked who my favourite jazz drummer was, I’d probably run through my relatively short mental Rolodex and offer up Art Blakey, mostly because Buddy Rich is too predictable and Gene Krupa was more known for big band than modern jazz. 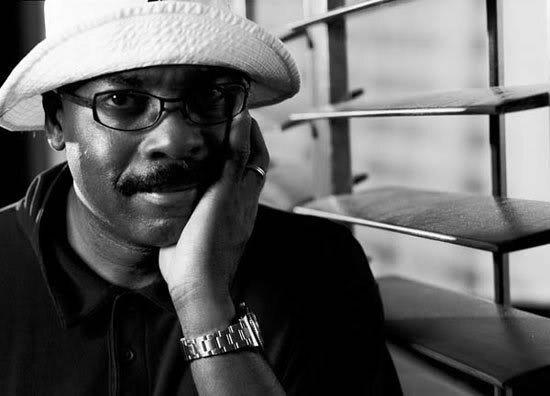 Harvey Mason is my favourite jazz drummer. To celebrate his breadth and illuminate an astounding career (still in progress), I thought I’d share a short playlist. Track 1 is Donald Byrd’s “Flight Time,” which features Mason in what I think is one of the greatest jazz drum lines ever. Like the other Mizell Brothers’ produced tracks on this list (nos. 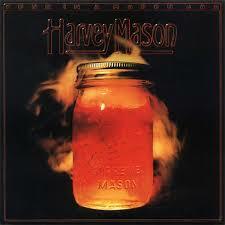 4 & 5), Mason provides a tight and driving backdrop to an easy going groove. As if working with Byrd and the Mizells wasn’t impressive enough, in the same year Mason also appeared on Herbie Hancock’s seminal album, Head Hunters. Not only is he responsible for the steady hand we hear on the monster jazz/funk fusion hit, “Chamaeleon” but he also arranged and performed on “Watermelon Man,” track 2 of our tour. Mason brought innovative funk treatments to the song, which had been in Hancock’s repertoire for 10 years before this most famous version was recorded. Continuing his association with those who would become synonymous with jazz fusion and jazz-funk, Mason appeared on Grover Washington Jr.’s classic, Mister Magic. Track 3 on my playlist is a lesser known track from Mason’s stint with Washington: “Love Makes it Better.” Mason penned this song, which suits both his and Washington’s style. Mason’s rhythm track grounds the song, allowing the Washington to soar freely in his solos. Tracks 4 & 5 are from the golden era of Larry and Fonce Mizell at Blue Note Records. Donald Byrd’s “Stepping into Tomorrow” and Bobbi Humphrey’s “Harlem River Drive” are both classic Mizell Brothers tunes. One of the reasons they endure today is because of Mason’s performance. “Stepping into Tomorrow,” with its menacing bassline, rolls along with the Mizell’s lush arrangements filling in the spaces. The song’s foundation is Mason’s flawless and relentless rhythm track. On “Harlem River Drive,” Mason does what great drummers do most of the time, which is play well without being noticed. George Benson’s classic recording of the Bobby Womack song, “Breezin'” is track 6. It’s hard to find a more iconic track from the seventies. Moving away from more traditional jazz or jazz-funk arrangements, George Benson broke new ground with this release, crossing over into pop whilst applying jazz instrumentation. Again, Mason’s playing underpins Benson’s melodic guitar lines and keeps the listener engaged throughout the nearly six minute track. Mason’s solo career is as long and distinguished as his time as a sideman. The next two tracks come from an era of soulful funk and disco which saw Mason branch out into popular music with vocals and higher production values. Tracks 7 & 8, “K.Y. and the Curve” and “Til You Take My Love” are joyful tracks incorporating the best from that era, including great string arrangements, funk-inspired guitar lines, and ensemble vocals (including Mason himself on “K.Y. and the Curve”). Track 9 is Bob James’ broadly recognizable, “Westchester Lady,” another anthem from the 1970’s. Mason’s timing is impeccable, interplaying with James’ stacatto keyboards and his punchy horn section. Closing the playlist is a track that returns us to the jazz fusion genre, which Mason has helped define through the decades. Fourplay’s “Sonnymoon” (track 10) is more straight ahead jazz than much of their repertoire. Mason’s playing is as tight as ever, despite having just become a ‘senior citizen’ at 65 when this track was released in 2012. Mason’s career continues today. He will be recording a new CD this year under his “Chamaeleon Project” monicker. Who’s your favourite jazz drummer?